No team made the biggest splash at the trade deadline last season than the Phillies who snatched Roy Oswalt away from the Astros and brought him into immediate contention. Sure Oswalt was a mediocre 13-13 but he had a 2.76 ERA showing how poor the Astros run support was. Now, thanks to guys like Ryan Howard, Jimmy Rollins, Chase Utley, Shane Victorino and the productive Raul Ibanez he'll get that much need run support. Amazingly, he won't be the number one pitcher. Or maybe not even two. 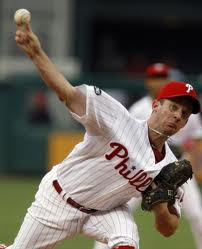 Thanks to the signing of Cliff Lee, the return of Roy Halladay and Cole Hamels the Phillies have a pitching staff any manager would love to have. Unless Philadelphia gets showered by injuries there is no doubt they will be playing in the World Series. And, maybe even winning it. I guess you could call it unfair. The Braves know every season they will likely have to face a hard-hitting, flame-throwing Phillies team for the NL East crown. 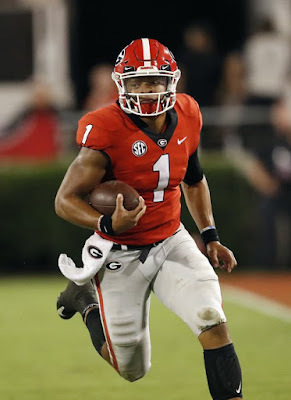 This season, though, they will still compete for a wild card slot. 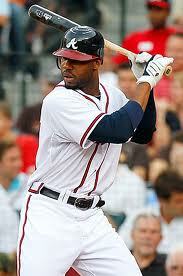 Jason Heyward exploded onto the scene last year with the Braves and needs to have another solid year. The thing, that might determine the Braves success is second basemen Dan Uggla. Uggla knows how to hit and hit it well (33 homers, 105 RBI's in '10 with the Marlins) but his fielding has been pretty poor throughout his career. Don't be surprised if upstart Martin Prado steals a few starts. The staff is headed by Derek Lowe and Tim Hudson while Atlanta got a pick-me-up when Tommy Hanson squeaked out 10 wins at just 24. It will be tough to surpass the Phillies but if they get some more production from their younger guys they could get into the playoffs. The Marlins have always been a mystery to me. Despite not having any obvious stars other than Hanley Ramirez and Dan Uggla the Marlins still won 80 games. Well Uggla is gone but amazingly this may help the M's. Omar Infante was involved in the Uggla deal and is a better average hitter and better fielder. Ramirez returns as one of the best players in the MLB once more this season. Josh Johnson had a magnificent season on the mound in 2010 going 11-6 with a 2.30 ERA. He'll be joined by Ricky Nolasco and new addition Javier Vazquez. Vazquez will be asked to give a better peformance then he had last year with the Yankees (10-10) but I think he fits better in the NL. Outfielder Chris Coghlan is a bright young star. Okay, I know what you're thinking: the Nationals in front of the Mets? Or, the Nationals not in fifth? 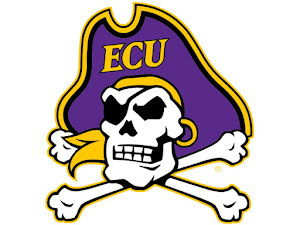 But, this team seems different, in a good way. Washington added tons of fresh blood including Jayson Werth and Adam LaRoche both consitent contributors. Chien-Ming Wang was also brought in despite being littered with injuries. Before this, though, Wang was a consistent starter for the Yankees. 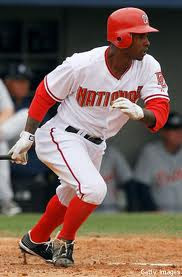 Coming back are Ryan Zimmeran and Nyjer Morgan. And theres the kid. Stephen Strasburg. Strasburg has a blazer of a heater and can buckle your knees with his curve. And then theres the other kid. For people who haven't heard of Bryce Harper read up on him.In the next five years him and Strasburg will combine to dominate the NL. That's in five years of course. And the Mets. It's tough to see the Mets where they are now after what looked to be a flourishing organiaztion. Sure, they still have bunches of stars. Jason Bay, David Wright and Jose Reyes are still here. And, guys like Ike Davis and Daniel Murphy have showed so much promise. The problem is they just don't have enough. Johan Santana has been a bust with the Mets always seeming to be injured. 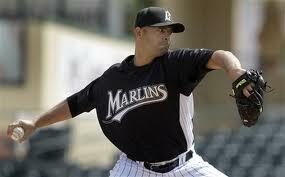 Francisco Rodriguez has also been one. After setting the single season saves record with the Angels, New York decided to spend a fortune on the closer. Bad choice. The staff does have R.A. Dickey who's knucklers have been surprisingly successful. To sum it all up, the Mets could still definitely win 80 games. Or, they could not.